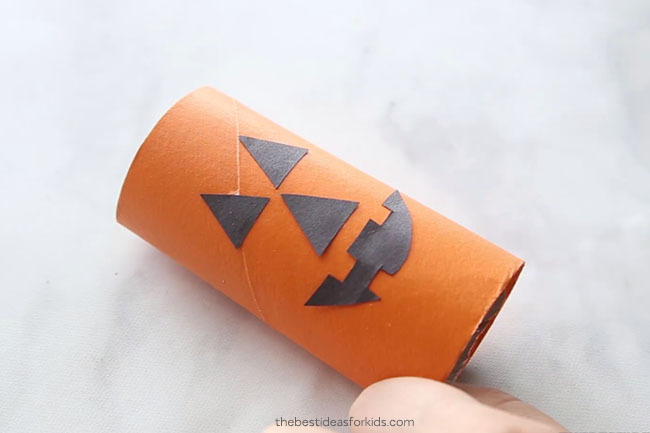 If you’re looking for an easy Halloween craft for kids then you’ll love these Halloween toilet paper roll crafts. 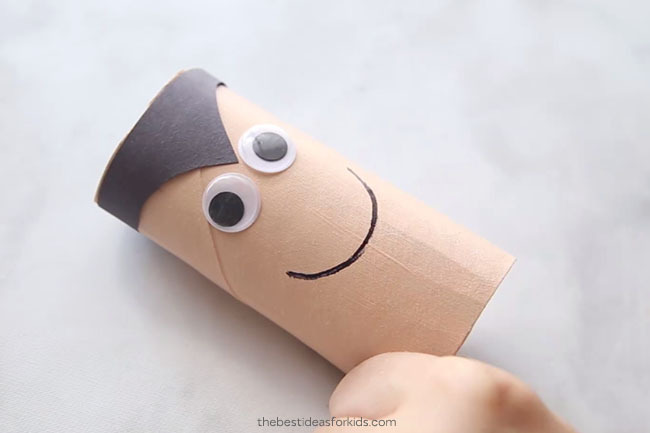 Kids love seeing all of the different toilet paper rolls you can choose to make. From a pumpkin to a vampire – these will be a big hit for Halloween! 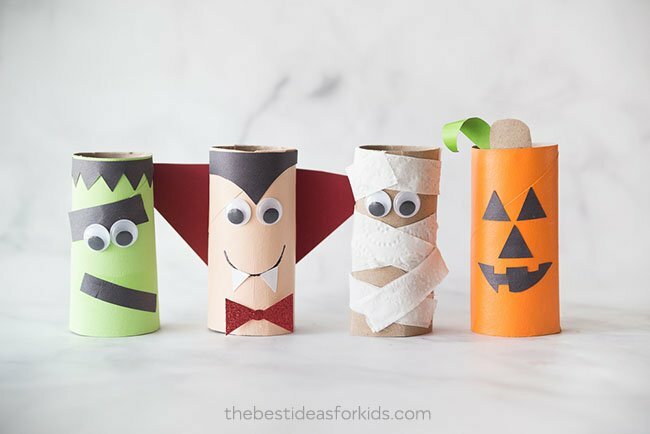 We will show you how to turn your toilet paper rolls into 4 different Halloween characters and you will just love how they turn out! 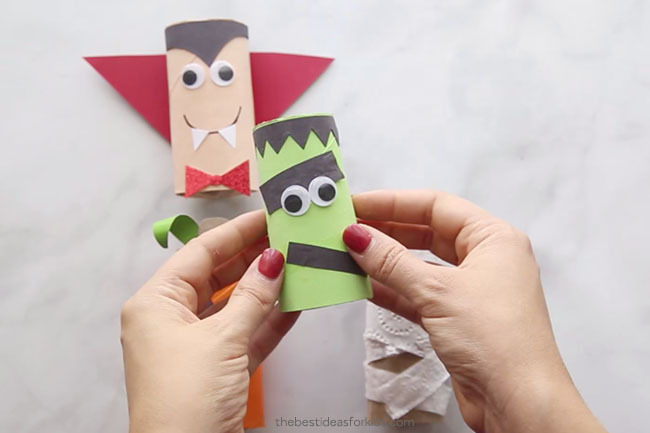 Save those paper rolls since you can create so many different fun Halloween crafts with them! Don’t let the ideas stop here – you can also make a ghost, bat, cat and witch. 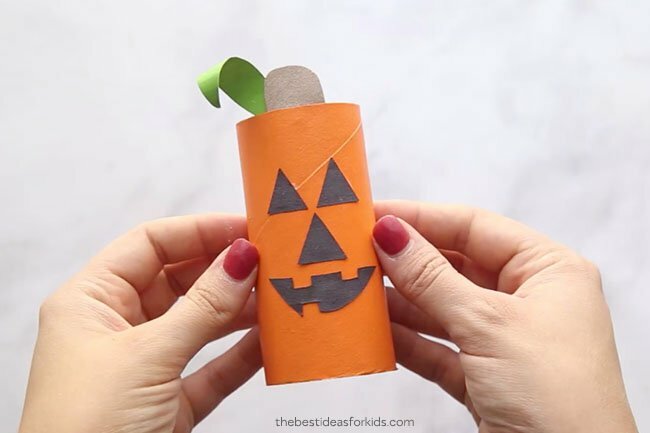 This paper roll Halloween craft is a breeze to make and is so fun to put together. We love how each paper roll has a different personality. You have the option to make a pumpkin, mummy, frankenstein or vampire. 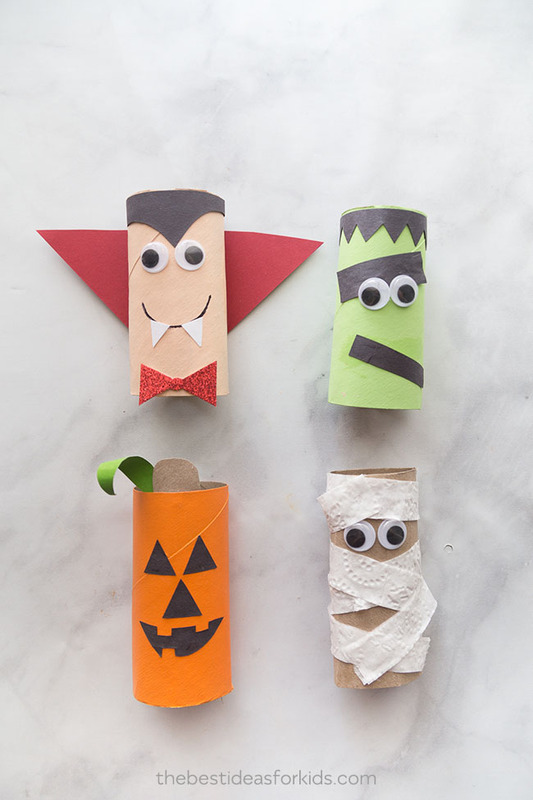 With just a few supplies, you can transform your toilet paper rolls into funny characters just in time for Halloween! 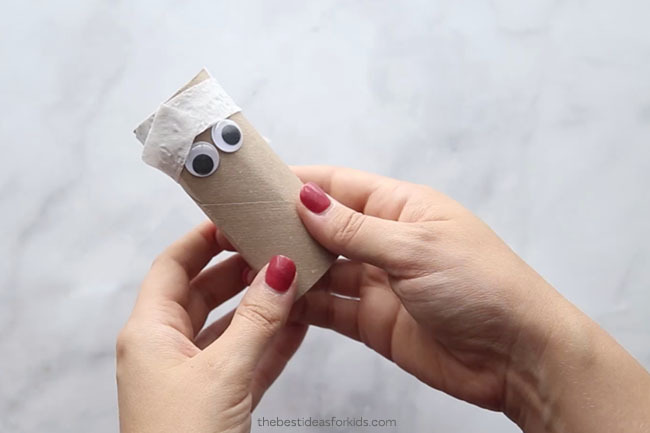 Here are the 4 different toilet paper rolls we made with step-by-step instructions on how to make them. 1. Paint your paper roll orange. 2. Cut out the eyes, nose and mouth out of black construction paper and glue on. 3. Cut the stem from an extra paper roll and glue to the top. We like to use Elmers Xtreme glue for this part. 4. 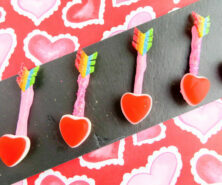 Cut a strip of green cardstock and curl around a pencil then glue beside the stem. 1. 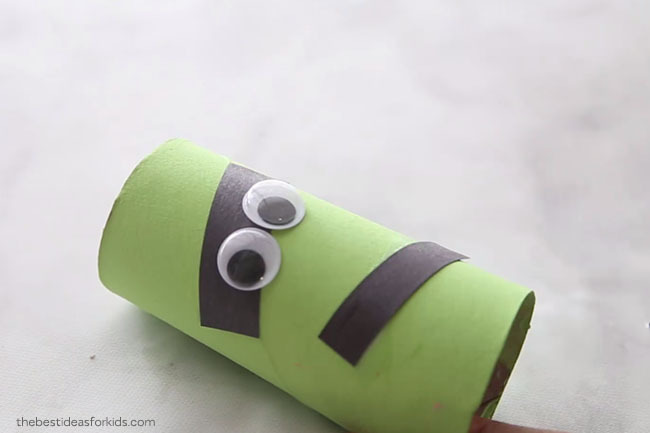 Paint your paper roll lime green. 2. Cut out the eyebrows and mouth from black construction paper and glue on. Glue the googly eyes on top of the eyebrows. 3. For the hair, cut a strip of black construction paper. Then cut out zig zag marks on the bottom of this strip. Glue this to the top of the paper roll. 2. 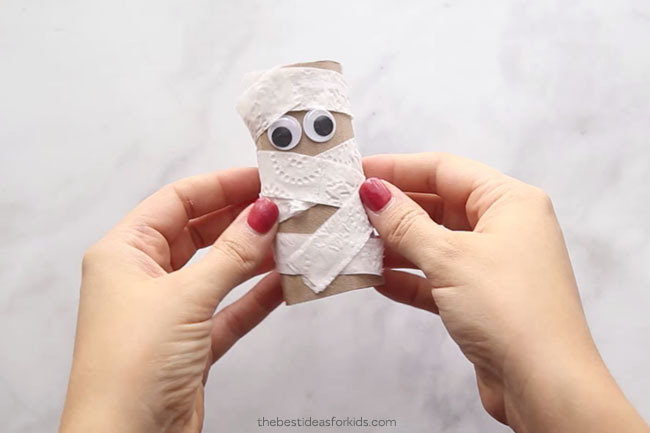 Cut out strips of toilet paper and glue them on top of your paper roll to look like a mummy. It’s ok if you leave some spaces not covered. 1. Paint the paper roll with this paint color. 2. 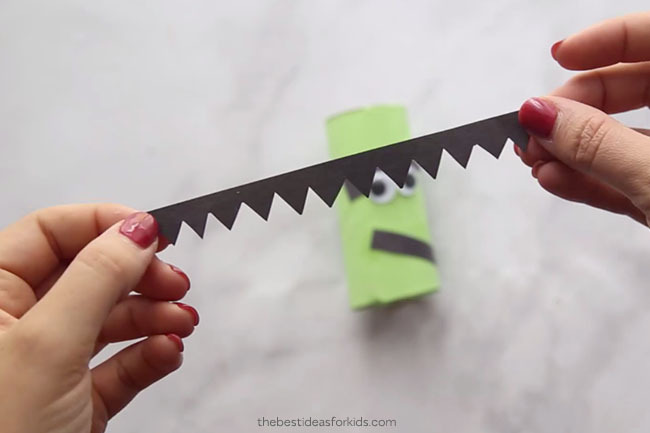 Cut out the hair from black construction paper and glue to the top. When cutting out the hair, make a peak so that it comes down close to where your eyes will be. 4. Draw on the mouth with a sharpie. 5. Cut out two small triangles for the fangs with white cardstock and glue on. 6. 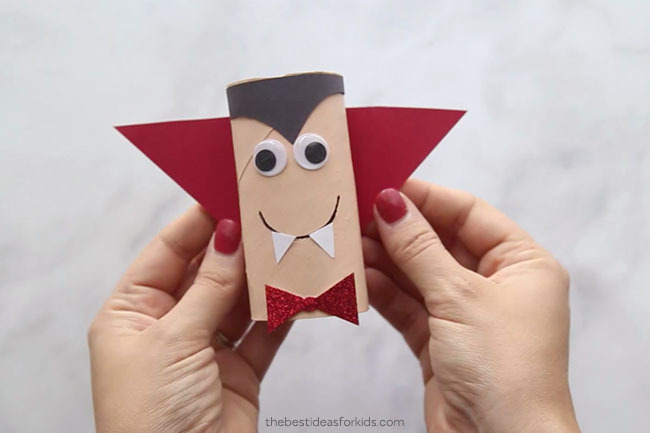 Add a red glitter bow to the front of the paper roll. 7. Cut out a large triangle from red cardstock and glue to the back. Watch the full video tutorial here before you get started! 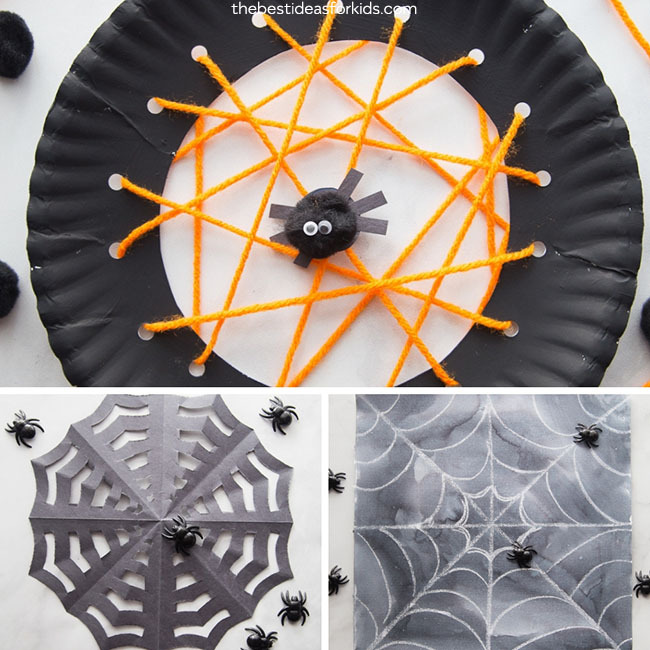 See these 3 easy Halloween Spider Crafts for kids! You’ll definitely want to try one – or all three! 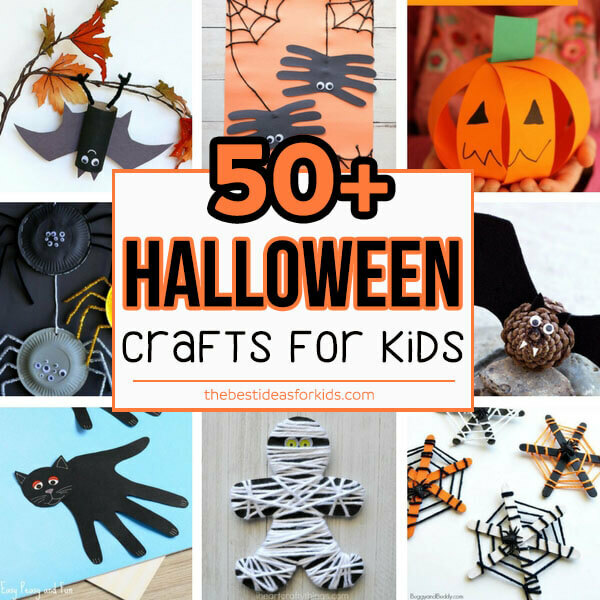 For more Halloween ideas, see 50+ Halloween Crafts For Kids! 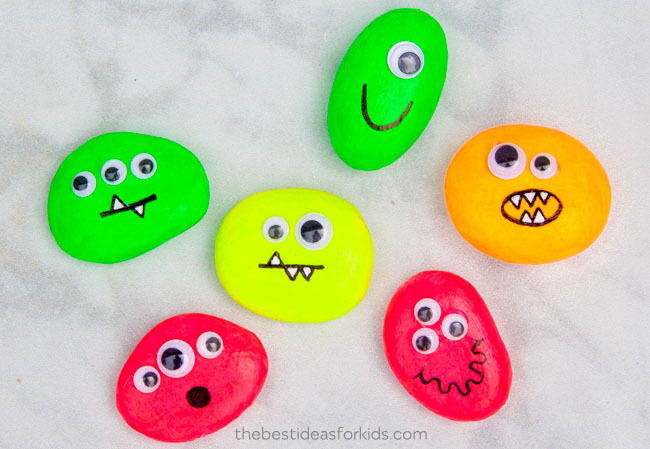 You’ll love these glow in the dark Monster Rocks! This is a great way to get kids involved in decorating the house for Halloween! 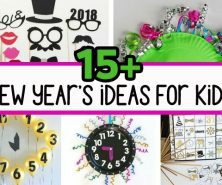 I’m going to get the stuff for these crafts.